Save up to 30% at HarryHall.com all year round! Walk this way for BIG savings and discounts all year round with Bronze One Club membership. Enjoy up to 30% off at HarryHall.com 365 days a year, meaning great savings on all your equestrian shopping. We stock a wide range of brands and categories, from horse rugs, show jackets, supplements and so much more. 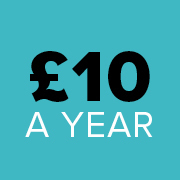 The £10 membership has often paid for itself in just one shop (on average a spend of just £50). On top of amazing savings, our Bronze members enjoy other exclusive benefits, including early access to sales, the chance to win your shopping back each month, a One Club members magazine and exclusive discounts on a range of 3rd party gifts, services and magazines. UK based Bronze members benefit from FREE delivery on all orders over £50, along with a FREE 60-day return promise with returns label included in each and every parcel. For our international Bronze members, please check the delivery rates for your address as they do vary by country. You'll also enjoy our 60-days return promise. Purchased the Bronze Membership and on my initial purchase bought two items saving over $100! I could not be happier! Thanks. After searching for Caldene neoprene wellies online I came across the Harry Hall website and the Bronze membership a great way to save on products athat are already competativly priced. It is nice to be member and enjoy the benefits! Brilliant idea. So worthwhile to be able to get such good savings on Harry Hall web site. I am incredibly impressed with how quick I recirved my order. I’m also super impressed with the book the catalogue they sent out. My mother doesn’t know how to order online and now she’s received a mini catalogue she knows exactly what to get me and May for Christmas. Great offers, quality goods. Super quick delivery. Great idea, great savings and great quality products. Been a Harry Hall user for over 30 years! Bought this just before Black Friday and super happy with the savings! Going to treat my horse now to lots of goodies with massive savings! Already saved my membership money in the first shop! Very easy to purchase, my card and brochure arrived within a couple of days - can’t wait to make use of it now!!! I have just started my bronze membership and I am so excited to save money on my future purchases, I already have lots lined up. The bronze membership is an amazing offer to get discounts all year round on quality equestrian brands! Thanks Harry Hall! Why had no one told me about this sooner! Savings are crazy. Have had the membership for a week and already been able to use some of the incredible benefits! I can’t see the negatives from being a bronze member. The Harry Hall Bronze Membership is excellent- the product savings all year round are fantastic and the exclusive sale prices make shopping for my horse an enjoyable and more importantly, affordable experience. I wish I had it sooner!! Great value membership to the One Club offering huge discounts. Great value for money and I love the membership discount on fabulous products! Great value and incredibly fast service. Very impressed. Significant savings, lessening the shopping guilt! Great option to get a discount on all HH products if you don’t need insurance. The first purchase paid it off. I was able to use the membership to get the discount straight away under my login. Fast delivery of the card by post. Very pleased. Highly recommend. I saved more than £10 on my 1st order and the savings last all year. Unbelievable - Saving 30% for a full year for only £10. Membership paid for itself on my first order. NOT LOGGED IN https://harryhall.com/media/catalog/product/b/r/bronze_discount_002_.jpg https://harryhall.com/media/catalog/product/b/r/bronze_sale_002_.jpg https://harryhall.com/media/catalog/product/b/r/bronze_ticket_002_.jpg General 10 10 GBP InStock Professionals 10 10 GBP InStock Retailer 10 10 GBP InStock Gold 10 10 GBP InStock Ebay - UK 10 10 GBP InStock Bronze 10 10 GBP InStock Harry Hall Staff 10 10 GBP InStock PC Officials 10 10 GBP InStock Caldene 57cm / 7"